Paycheck stubs is an inevitable element for employers these days. Those businessmen who are looking for legit solutions, paystub maker offers a great start. After all, getting sorted with the accounting needs of the business is the topmost priority of any business person. Recordkeeping sometimes becomes a headache for businessmen. With a paystub generator, things get easier to manage. It is important for employers and employees to understand how long they should preserve the paychecks. As per the Fair Labor Standards Act, the recommended limit for payroll documentation and retention is 3 years. While this recommended duration differs as per IRS & extends up to 4 years after the 4th quarter. In short, record keeping is an important factor to be considered. This entire recordkeeping is digitalized when one uses online pay stub creation method. As you already know, the created paystubs are instantly available for download and print. They can be saved in the user’s system or can stay in the mailbox and can be used whenever required. The digital copy can be printed whenever required and if by mistake, a user has erased it, a new copy can be requested. One needs to be careful while using any pay stub maker and take a moment to check if the respective website provide such facility of requesting a missing check stub or not. What is the required information? Most of these details are already available with paystubs and hence the employers are required to maintain these records for at least 2 years. 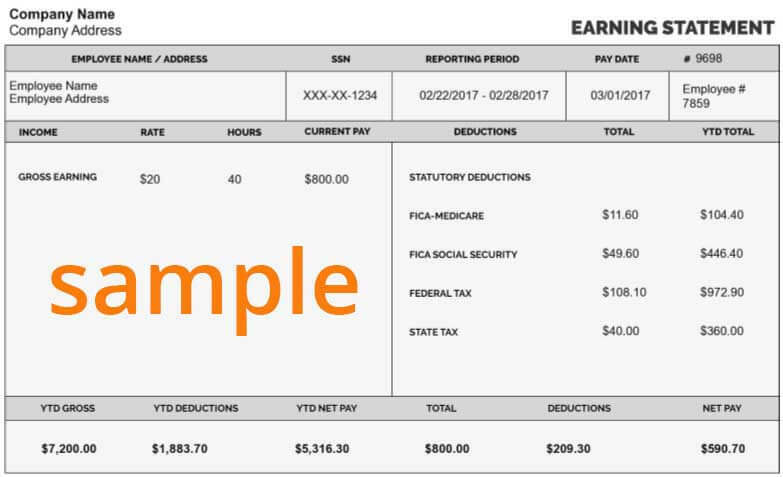 Paycheck stub online is the easiest way to introduce hassle-free accounting in the organization. If you are an employer and looking for one of the best and affordable check stub maker then you are at the right place.